EVENT DATE: Saturday, September 28, 2:00–5:00 p.m.
Time again for the Learning Garden at Venice High School’s annual fundraiser celebrating PESTO! 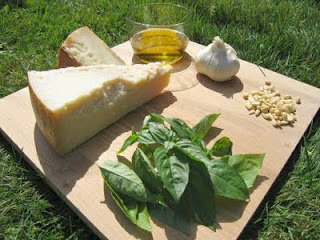 Only $10 a plate for pasta, salad, and bread, plus jars of Gardenmaster David King’s delicious homemade pesto for sale. New recipes are promised this year. Don’t miss it! Note: This event pays for the garden's latrine! Enter the Learning Garden from Walgrove.